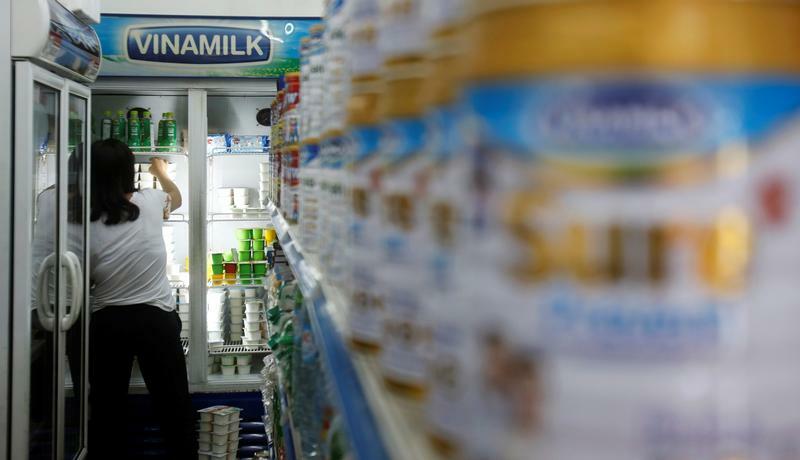 The Vietnamese government is selling down its stake in selected state-owned firms, including Vinamilk, the dairy firm that is Vietnam's largest listed entity. Vinamilk's share price hit a record of 187,600 dong ($8.26) on Nov. 20, valuing the company at almost $12 billion. A Vinamilk stake sale in 2016 drew only one buyer, largely because of a ceiling on the size of purchases by any prospective shareholder. A sale this month, which removed those restrictions, saw demand from 19 investors. Jardine Matheson, the conglomerate, became the second-largest foreign shareholder, building an 8 percent stake through its Singapore-listed Jardine Cycle & Carriage. It has since bought more shares on the market, taking its holding to 10 percent. The largest foreign shareholder is Fraser and Neave, a group backed by Thai tycoon Charoen Sirivadhanabhakdi, with almost 19 percent. Other assets on Vietnam's privatisation list include brewers Sabeco and Habeco.